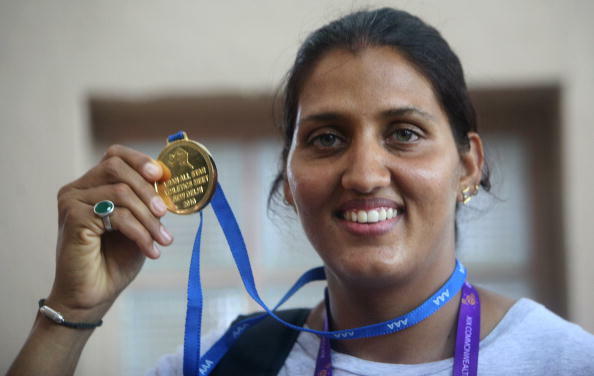 Krishna Poonia is a national woman discus throw champion of India. She led an Indian clean sweep in the women's discus final on 11 October 2010, winning the Delhi Commonwealth Games gold medal with a throw of 61.51 metres. The beginning fo her sports career saw her winning the bronze medal at the 2006 Doha Asian Games. She also won gold medal in the 46th Open National athletics championships beating Seema Antil and Harwant Kaur. On 8 th May 2012, Krishna recorded her personal best of her career at a distance of 64.76 metres which became a new national record. Krishna is also credited as the first Indian woman to win a gold medal in track and field events of Commonwealth games and the first Indian to win a gold medal in such events after Milkha Singh who had won the gold in Men's 440 yards race in the 1958 Cardiff Commonwealth Games. Commonwealth Games 2014: Will the Indian athletics team rise to the expectations? Who is the best Indian athlete of all time?